A Global Grant to help 12000 children read in South Africa! The past and the present! Global Grant #25244 has been extraordinarily successful in building fundamental literacy skills for almost 8000 children of Mamelodi in Gauteng Province, South Africa. 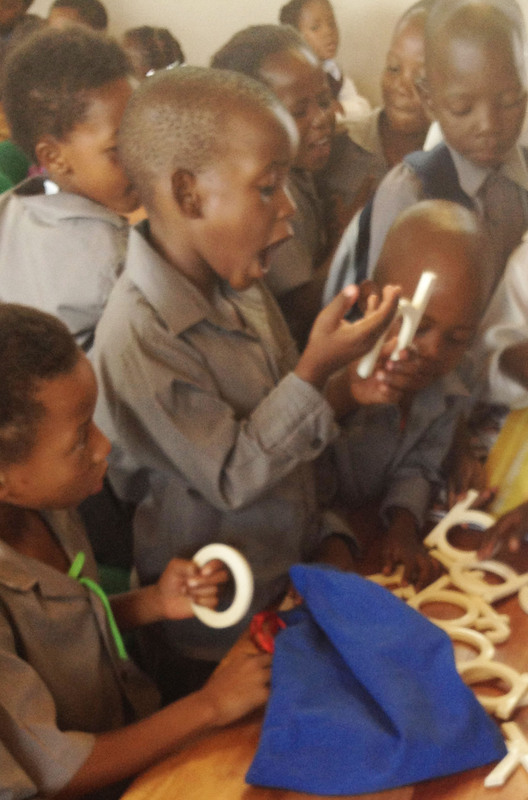 Such success has led to a new Global Grant proposal to provide Souns literacy materials to 250 classrooms in Gauteng and surrounding Provinces via the University of Pretoria, University of Venda, and the Peace Corps. This new grant will provide materials initially impacting almost 12,000 children through primary schools and creches, as well as equipping Peace Corps volunteers with Souns materials to better serve them as a resource for their communities. Since Souns materials are not expendable, the overall impact as the years go by will be exponential. The grant provides funds for classroom materials only and is matched almost dollar-for-dollar by experienced Rotarian volunteers training local teachers to implement the program. Teaching teachers ensures long term sustainability. The almost completed Global Grant 25244 ($34,200) was initiated by D9400, Host Club Pretoria East, and D6900, International Partner Club Peachtree City, along with Rotary Clubs Carrollton Dawnbreakers, East Cobb, and North Fulton. This international literacy project is changing lives for children. Clearly, this is a demonstration of the power of Rotary. The new, proposed Global Grant ($50,000) is being initiated, once again, by the Rotary Club of Pretoria East. This project builds on the collaboration between D6900 (International Partner) and D9400 (Host) and promises an even larger impact by Rotary on the fundamental literacy skills for young children in South Africa. If you are in District 6900(USA) or District 9400(ZA) and are interested in your club participating in this international literacy Global Grant, please email everychildwillread@gmail.com. If you are in another Rotary District and want to get involved in this effort, contact me and we will find a way to make that happen. The world is filled with children who want to read, and we need as many hands joined as possible. The ability to read and write is the peacemaker, and we must ensure that every child – YES, EVERY – child will read! This entry was posted in Peace Corps, Rotary Projects, SounsAfrica, Uncategorized and tagged children, early literacy, early reading, education, global literacy, Peace Corps, RD6900, RD9400, South Africa, University of Pretoria, University of Venda. Bookmark the permalink.